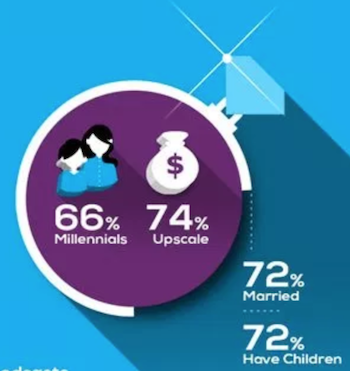 Westwood One has released a report and an infographic exploring its latest data about the podcast audience. 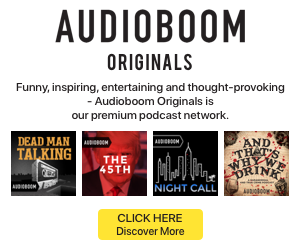 The release of the fall 2018 Podcast Download study coincides with the IAB Podcast Upfront in New York City, where Westwood One is a presenter. One notable shift in the data is a surge in female listenership. Other studies have consistently seen men leading the wave of interest in podcasts, but Westwood One shows that profile changing. Growth in time spent listening was six times greater among women than among men in the Westwood study. Women also downloaded 25% more podcasts compared with the year-ago period and listened to 27% more podcasts than they did last year. Average weekly time spent with podcasting rose 20% for women. Other demographic data does still hold true. The women who identified as heavy podcast listeners were 66% millennial, 72% married, and 72% parents. They are also financially well off, with a third (34%) reporting annual income between $75K and $100K while 40% make more than $100K. The study also investigated the rising role of smart speakers. Among the weekly podcast listeners, adoption of smart speakers for podcasts increased 23% from July 2017. For heavy podcast listeners, the rate was 13%. Women are also pushing those stats higher, with 67% growth. Boomers reported 88% growth in smart speakers for podcast access. Finally, the report covered the ever-hot topic of podcast advertising. About a third (32%) of agencies and brands are currently advertising through podcasts, while 36% said they are likely to do so in the next six months. Even if the action is still moderate, talk is frequent, with 70% discussing the potential of podcast advertising as a media investment with their colleagues.